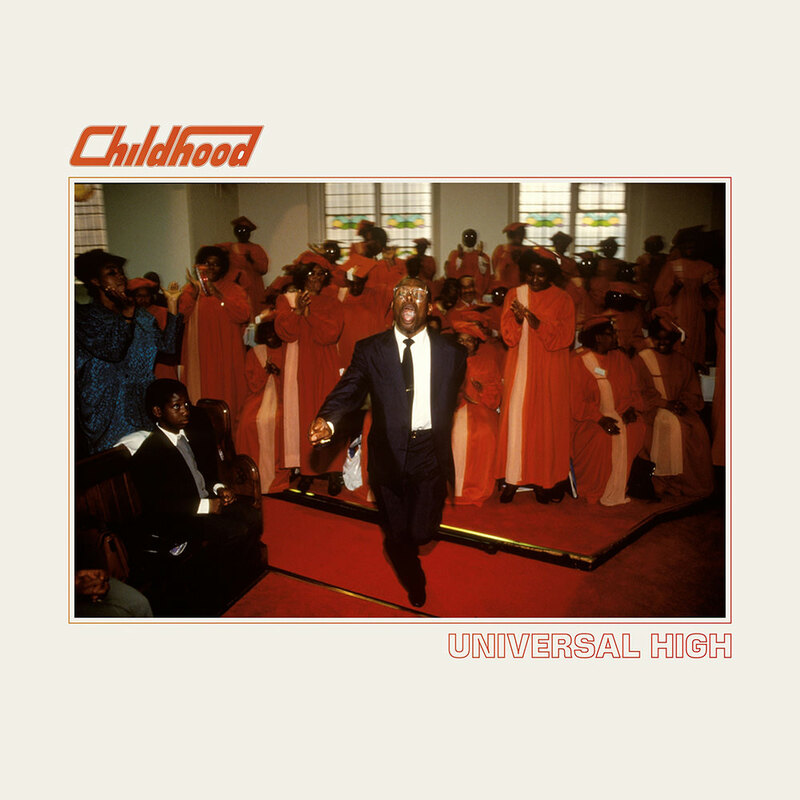 London band Childhood recorded its sophomore album Universal High in Atlanta in the summer of 2016 with producer Ben H. Allen III (Gnarls Barkley, Cee Lo, Christina Aguilera). Displaying elements of classic R&B, soul and funk influences such as Curtis Mayfield and Prince, Universal High was preceded by advance single Californian Light. "Universal High represents many things to us as a band. It signifies change, both musically and mentally whilst also revisiting influences that confounded our interest in music in the first place. What I think is noticeable is the direct nature of the songs and its influences. Being surrounded by soul music, classic pop songs and music with any form of groove all my life, these influences began to speak for themselves within these new songs we were writing."